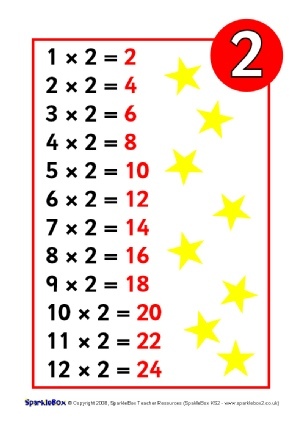 A printable banner for your classroom ‘Calculations’ display board. A set of 6 A4-size playdough mats. 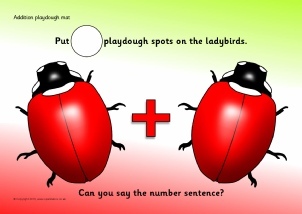 Children make playdough items to match the number you write in the circle and then say the number sentence. 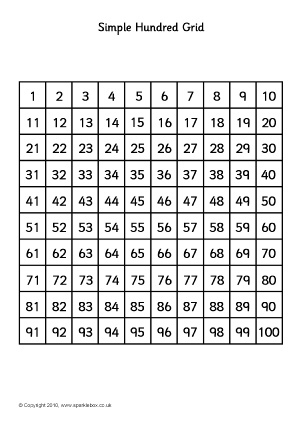 A set of 10 printable mini 3-piece jigsaws where children can match the object groups to the doubles number. 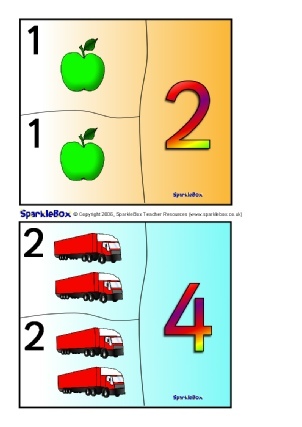 A fun activity and is a great way for demonstrating and reinforcing the concept of doubling. 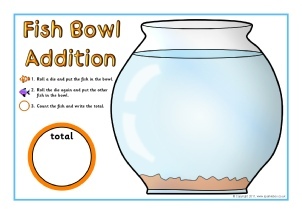 Printable desktop activity mats where children roll a dice and place two types of fish in the fish bowl and add them together. 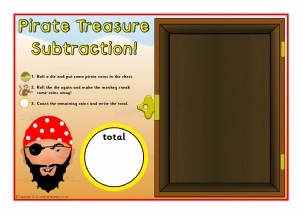 Printable desktop activity mats where children roll a dice and place coins in the pirate chest. They roll again for the monkey to sneak some away, then write the total or number sentence. 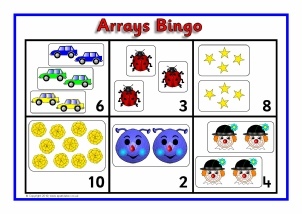 Printable bingo boards with arrays of objects and multiplication number sentence cards to match. 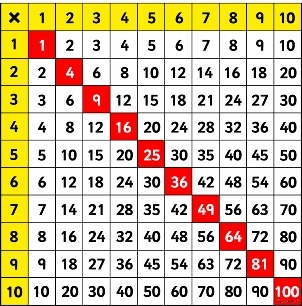 A set of printable posters showing the times tables from 2 up to 12. 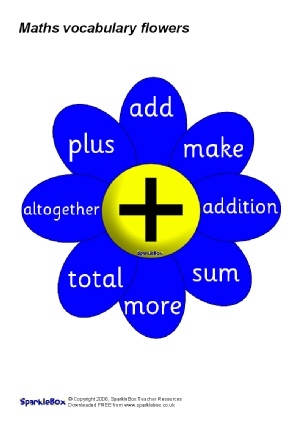 A colour-coded set of A4 flowers, each showing a mathematical sign in the centre and the related vocabulary on the petals. 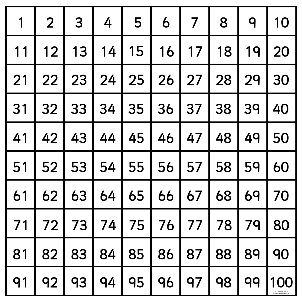 A downloadable multiplication square JPG image which can used in your own worksheets, posters or PowerPoints etc. 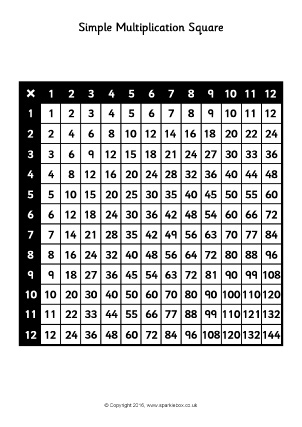 Simple printable multiplication squares in colour and black and white up to 10x and 12x tables. 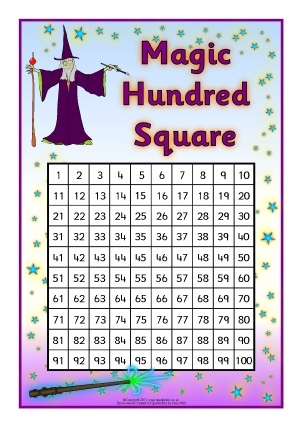 Useful for all sorts of classroom activities. 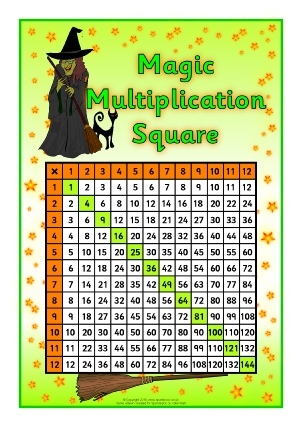 Print out and laminate these colourful multiplication square sheets to use in all sorts of classroom activities. 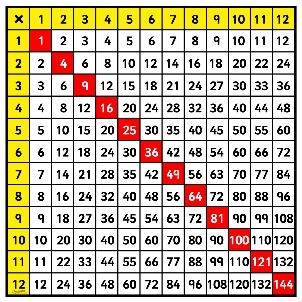 Includes 10x and 12x tables versions.